The IceCold HQ menagerie was brought back to full compliment with the arrival of Kooks in October 2014. Hazy, the older statesman, has been with us since April 2007. Hazy arrived as a hyper-active 8 week-old tabby back in April 2007. It certainly didn't take him long to oust Ash as 'top cat', and he's just about hung on, now that Kooks is the new kid in town. 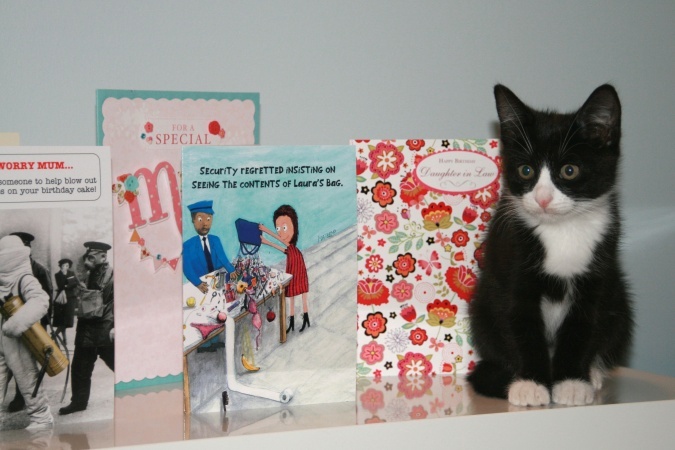 Kooks, our latest 'tuxedo' cat, arrived as a birthday present for Laura in October 2014. However, with me working from home and therefore omnipresent, she thinks I'm her mum. Very cute, but it would be nice if she sat on Laura's lap occasionally!